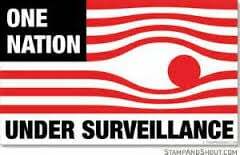 Internal National Security Agency documents published by the Intercept earlier this month provide powerful evidence of active collaboration by the large technology corporations with the US government’s worldwide surveillance operations. The documents give a glimpse of efforts by the American state—the scale and complexity of which are astonishing—to penetrate, surveil and manipulate information systems around the world. The trove of documents, made available in their original forms by the Intercept , are largely comprised of classification rubrics that organize NSA secrets according to a color-coded scale ranging from green (lowest priority secrets), through blue and red, to black (highest priority secrets). The secret facts organized in the leaked classification guides supply overwhelming evidence that the NSA and Central Security Service (a 25,000-strong agency founded in 1972 as a permanent liaison between the NSA and US military intelligence) rely on cooperative and in some cases contractual relations with US firms to facilitate their global wiretapping and data stockpiling activities. As part of WHIPGENIE, the document further states, the FBI facilitates NSA partnerships with industry that are both “compelled and cooperative” in nature. In other words, the NSA carries out domestic wiretapping and “cable collection” operations with the cooperation of at least one US corporation. These revelations are especially significant in light of persistent claims by the major tech and communications corporations that their involvement in the surveillance operations is strictly involuntary in nature. Last year, a leaked NSA PowerPoint presentation titled “Corporate Partner Access” showed that the volume of data transferred to the agency by Yahoo, Google, and Microsoft during a single 5-week period was sufficient to generate more than 2,000 intelligence reports. The companies all defended their actions by claiming they were forced to furnish data by the government. Other documents contained in the trove detail the NSA’s development of sophisticated offensive cyber-warfare capabilities targeting the information systems of foreign corporations and governments. These programs highlight the threat of outbreaks of electronic warfare between competing capitalist elites, which could provide the spark for full-fledged shooting wars. TAREX also involves “physical subversion,” “close access-enabling exploitation,” and “supply chain enabling,” the document shows, through which the surveillance agencies intervene directly to modify and sabotage the information systems of rival states. TAREX operations are supported by outposts located in Beijing, China, South Korea, Germany, Washington DC, Hawaii, Texas and Georgia, and TAREX personnel are “integrated into the HUMINT [human intelligence] operations at CIA, DIA/DoD, and/or FBI,” according to the document. The number and character of the NSA’s “protection” programs gives an indication of the scope of its activities. The latest round of leaked NSA documents underscores the absurdity of proposals aimed at “reforming” and “reigning in” the mass surveillance programs, which, propelled by the explosive growth of social inequality and the rise of a criminal financial oligarchy, have enjoyed a tropical flourishing since the 1970s, acquiring an extravagant scale and diversity.